If you’re looking for an opportunity to make connections and help cultivate a community of HR professionals, consider volunteering with SHRM-Atlanta. SHRM-Atlanta would not exist without our volunteers. Each volunteer brings a unique set of skills and vision to our organization that enriches it and bolsters our efforts. With every new volunteer, SHRM-Atlanta grows more energized, more diverse and inclusive, and better equipped to reach our common goal of furthering the HR profession. Help SHRM-Atlanta thrive by becoming a volunteer. Learn more below and sign up today - we’d love to have you as part of the team! Learn about the different ways you can volunteer with SHRM-Atlanta. Wherever you are in your career - from student to retiree, and anywhere in between - SHRM-Atlanta offers countless opportunities to contribute your time and skills to help make an impact for the HR profession. Your contribution can span from a few hours to a long-term leadership position. Develop and enhance your leadership skills through volunteering. SHRM-Atlanta offers leadership roles that provide real-world experience managing and leading teams. The teamwork and leadership skills developed by participating on a committee – or leading one – will help you hone the skills employers value in their employees. What better way to make meaningful connections than working alongside other professionals while you demonstrate your skills? Meet new people and work as a team to give back to the community and/or run the business of SHRM-Atlanta. You’ll develop lasting friendships while you expand your network. Enhance your resume by becoming involved. Employers like to see involvement in the community and a commitment to your career. SHRM-Atlanta volunteering offers both in one resume statement. Become part of the decision-making team for SHRM-Atlanta. Make a difference in our community. Have new ideas? We’d love to hear them. Talk to any of our Volunteer Leaders to see how you can get involved. Wherever you are in your career - from student to retiree, and anywhere in between - SHRM-Atlanta offers countless opportunities to contribute your time and skills to help make an impact for the HR profession. Your contribution can span from a few hours to a long-term leadership position, and the benefits continue to grow the more you get involved! Working on smaller projects and one-time volunteering events is a great way to find opportunities that fit your interests and the time you have available. Not ready for a bigger commitment? Experience what it's like to get involved with SHRM-Atlanta by participating in "micro-volunteering." SHRM-Atlanta offers opportunities that range from volunteer positions at events such as conferences, or office volunteering such as helping to organize materials and assemble mailers. Do you want to learn or improve your leadership abilities? Are there skills you want to develop that could help in your career? SHRM-Atlanta empowers our members through a variety of opportunities to help run the business of SHRM-Atlanta as a volunteer on the SHRM-Atlanta Volunteer Leadership Team. SHRM-Atlanta’s Volunteer Leadership Team is comprised of 6 main areas in which you can get involved, with over 150 volunteers lending their talent and expertise on more than 28 committees and teams. Positions range from committee member to Committee Chair, Vice President, and Executive Vice President of an area - so you have lots of choice as to the level of responsibility you are interested in assuming. All are equally important and vital to the success of SHRM-Atlanta! Educational Programs: Help SHRM-Atlanta define and deliver overall educational programming for our members. Member Relations: Enhance the new member recruiting and onboarding experience, and support member engagement & retention efforts. Awards & Recognition: Promote awards recognition for excellence in HR, while connecting members to scholarship opportunities. Marketing & Brand Awareness: Promote SHRM-Atlanta brand awareness, membership benefits and professional development opportunities through social and media channels. Workforce Readiness & Community Volunteering: Help define and organize Team SHRM-Atlanta HR skills-based community volunteer opportunities that contribute to our local community and enable our members to network and offer volunteer services. 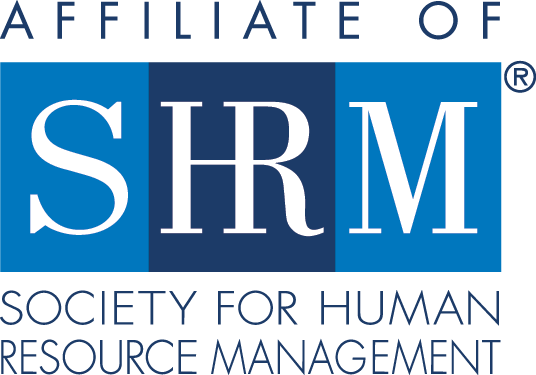 Organizational Effectiveness: Empower the SHRM-Atlanta's Volunteer Leadership Team through volunteer recruitment and succession planning, onboarding, and leadership development.